I know it’s really easy once you get home from your grocery store or your farmer’s market to take all of the produce you just purchased and shove it in the fridge and forget about it. Problem is just that, you either forget about it or you’re in such a rush to make your meal that doing anything with it seems like too much work. A tip I always use is to take the extra time right when you bring it home to get the produce prepped so that you guarantee you’ll get the most out of it. I used our haul from the farmer’s market this weekend as an example, so even though we didn’t get much you can still get the idea. 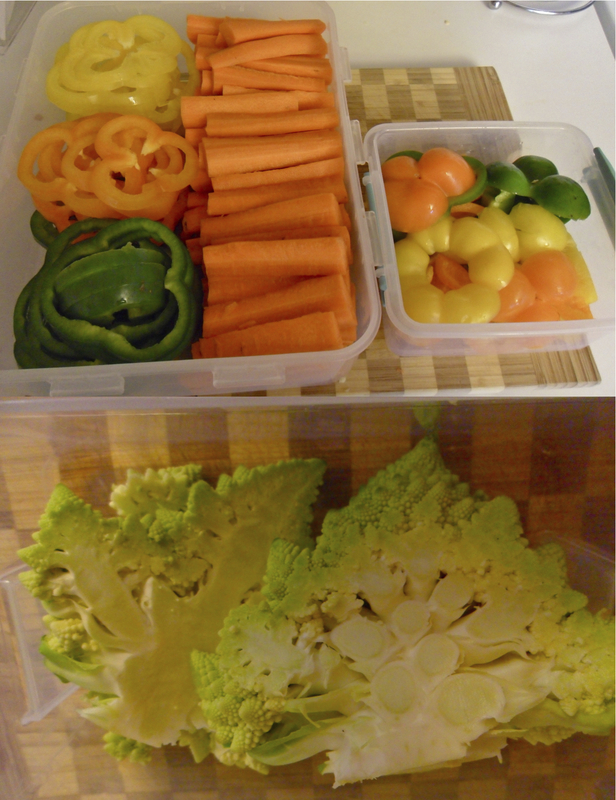 I eat vegetables all week long… with my sandwiches, as an after dinner snack and on Sundays while watching football so I always start by getting those ready. This week I wanted carrots and peppers so I peeled all the carrots and sliced them into sticks. I cut my peppers into rings and I put them in a big tupperware container which makes it so easy to just grab them… an instant snack that always in our fridge! I kept the bottoms and tops of the peppers in a smaller container and I’ll use those scraps for my egg white omelets in the morning and in my soups. Our farmer’s market had incredible Romanesco Broccoli this week so we picked some up. I knew I wanted to roast it in the oven and use it as a side dish with dinner during the week so I trimmed the leaves, sliced it and put it in a tupperware container in the fridge. Now all I have to do is put it on a baking sheet with a little oil and it’s good to go. 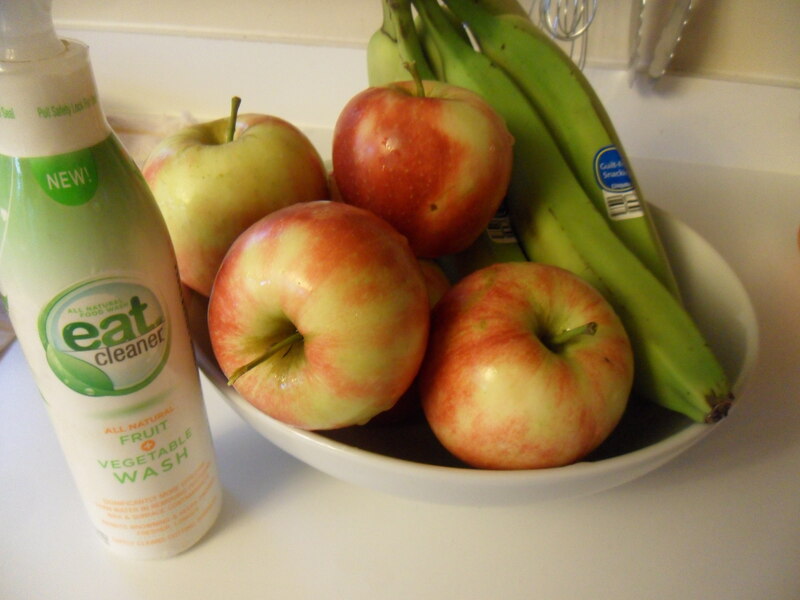 I sprayed and washed all our apples and put them in a big bowl with our bananas. That way when we want an apple we can just grab it and go, we don’t have to spend any time worrying about washing it. 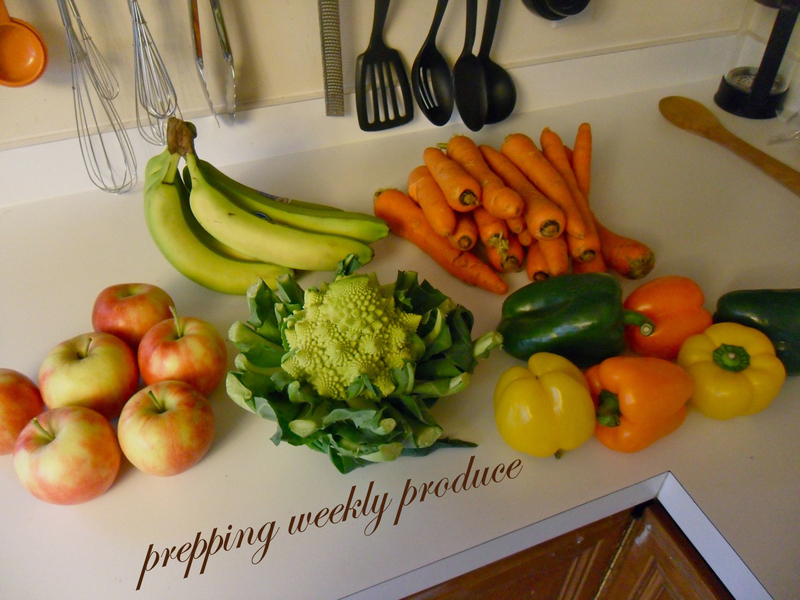 Do you guys have any tips for getting produce prepped for the week?